We are so grateful for this World Race team and couldn't be happier to see them jump in and further our Connected Community initiative at some of our favorite places in La Ceiba. The Comedor de JesuCristo is a fantastic place mission in the heart of La Ceiba. It is a community kitchen that serves the needy everyday as well as a church that shares the love of Jesus Christ with the city. This team has been wonderful and has served La Ceiba well. Thank you to Travis, Gina and Noah Moffitt for their leadership, and special thanks to the group from the World Race who was with us the whole month. Last year we introduced you to our friends at the La Ceiba Honduras Police department. We made a great connecting with their leadership and wanted to serve the department at a greater capacity. Our organization has donated time and resources to renew their on site clinic as well as have a medical exam table donated. The police in La Ceiba, as like any department, are tasked with a very difficult and dangerous job. These officers are diligent to serve their community and we are committed to serve them. This week we had the opportunity to engage on the next stage of our plan to serve and prepare this police force by teaching CPR and trauma training to their officers. Led by Brittany and Gretchen of our World Race group, our team taught the valuable life saving techniques of CPR to several of the departments officers. Patrolling the vast, populated, and rural area of La Ceiba with this new training will make missions safer and more productive. The Police Department staff has described scenarios in which officers have lost their lives in the line of duty simply due to being too far from aid after taking gun fire. With this new training it should allow officers to receive better in field aid and allow officers a fighting chance when they encounter injuries. Thank you to all who have donated and served Connect Global. We came across this inscription on a door while serving at the Comedor de Jesus Cristo. Cristo vive translates to Christ lives. 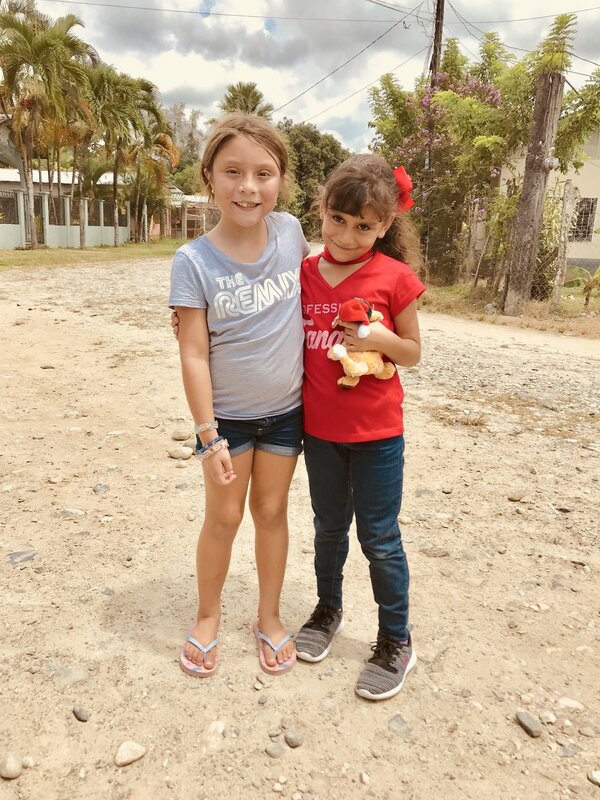 In just a few short days our team has served the poorest and homeless community, blessed the local police, encouraged workers at the hospital and Children's Cancer Foundation, prayed for children in the hospital and put smiles on the faces of many kids in need at a local preschool and orphange. Truly Christ lives inside of each member of this amazing team.